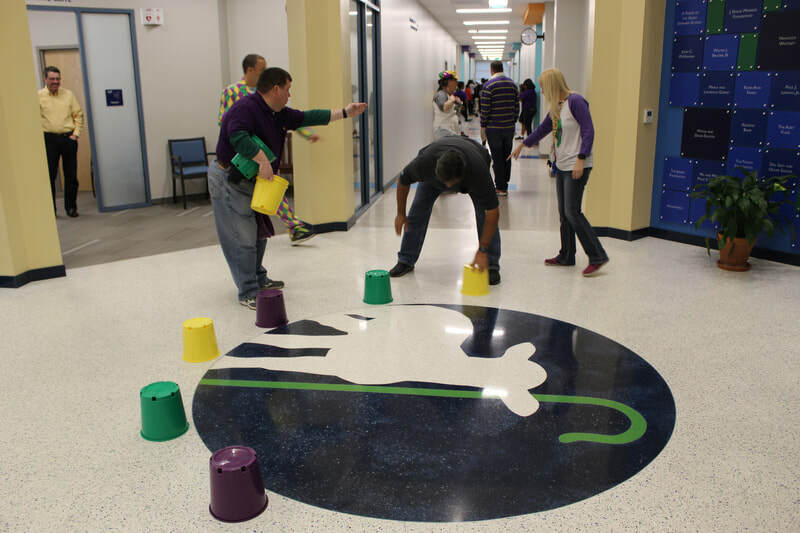 Rain or Shine the GSS Sheep must parade. 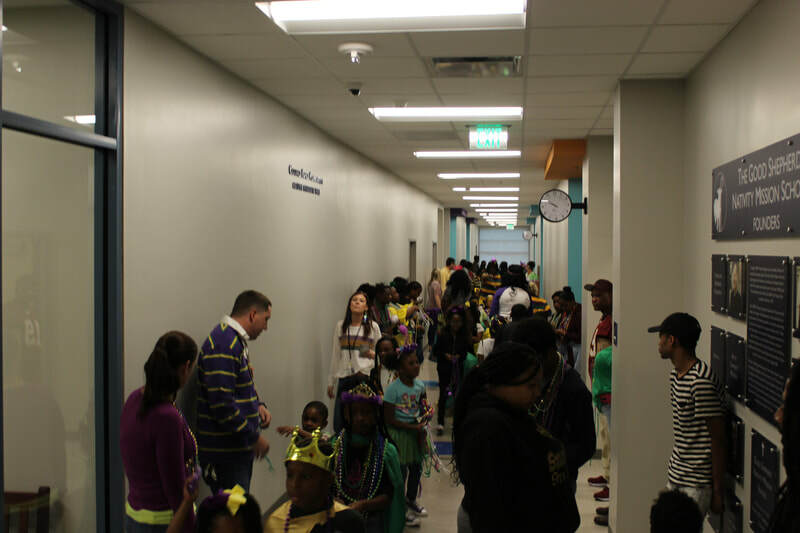 A little rain, fog, and muggy weather pushed the GSS student parade indoors this year. 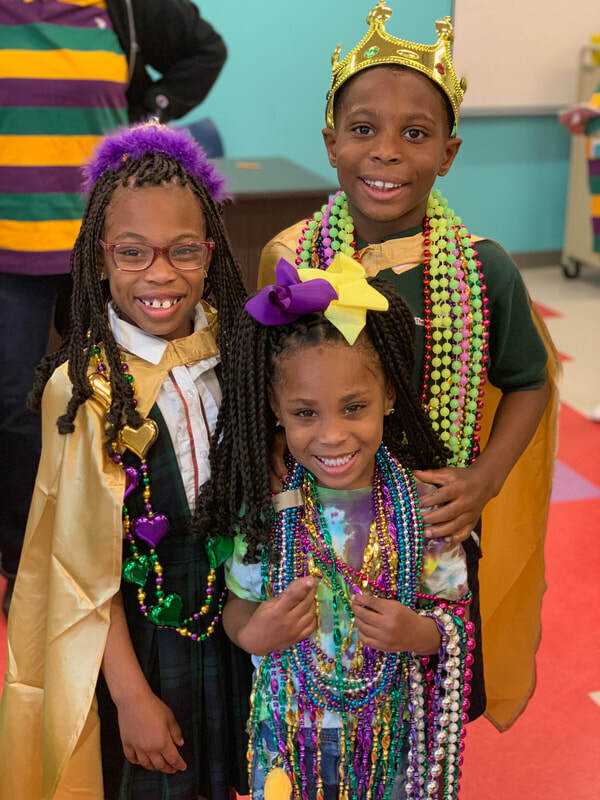 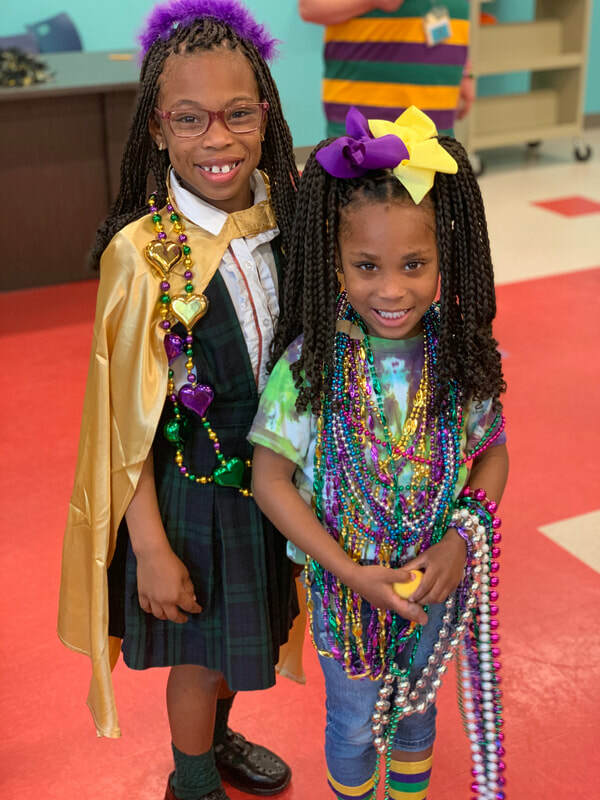 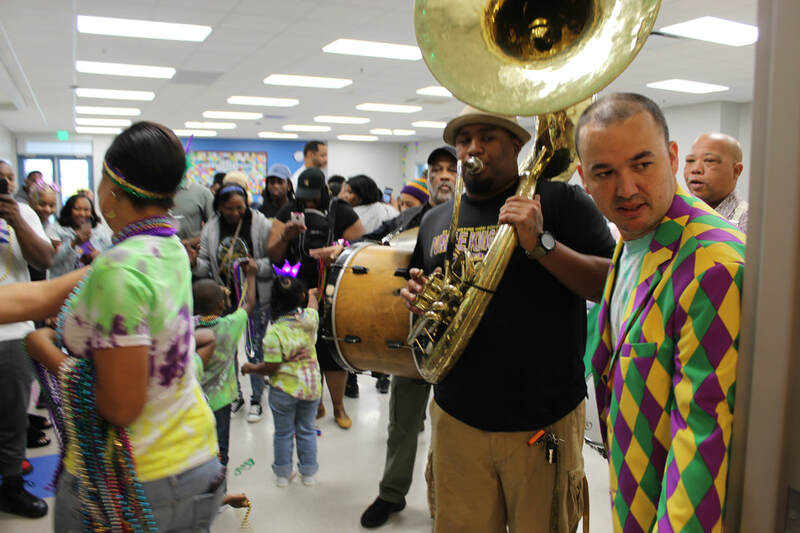 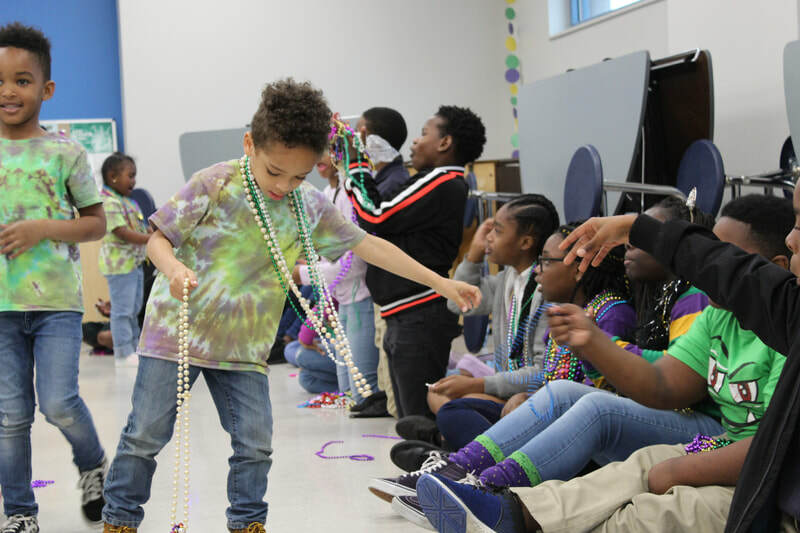 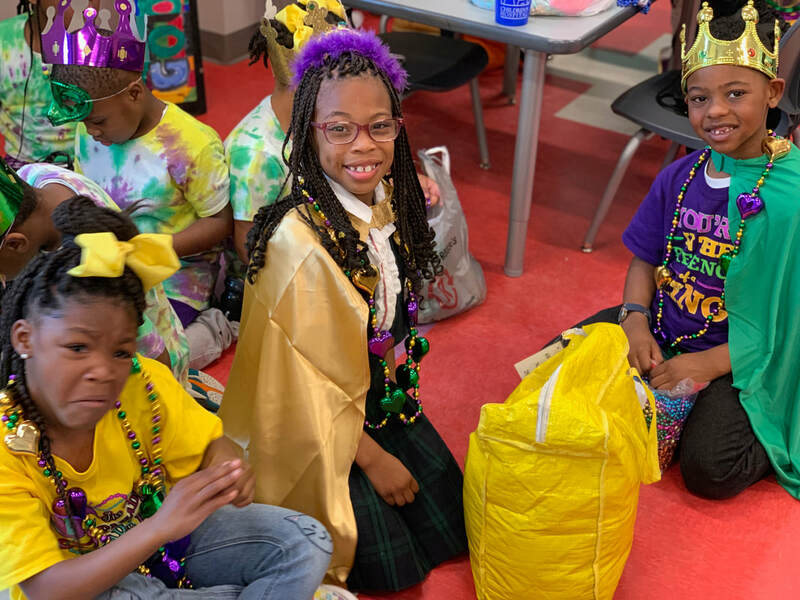 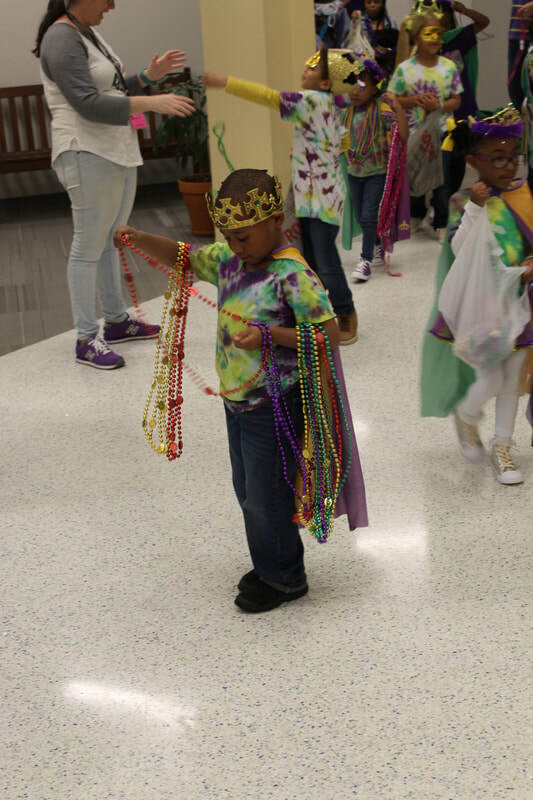 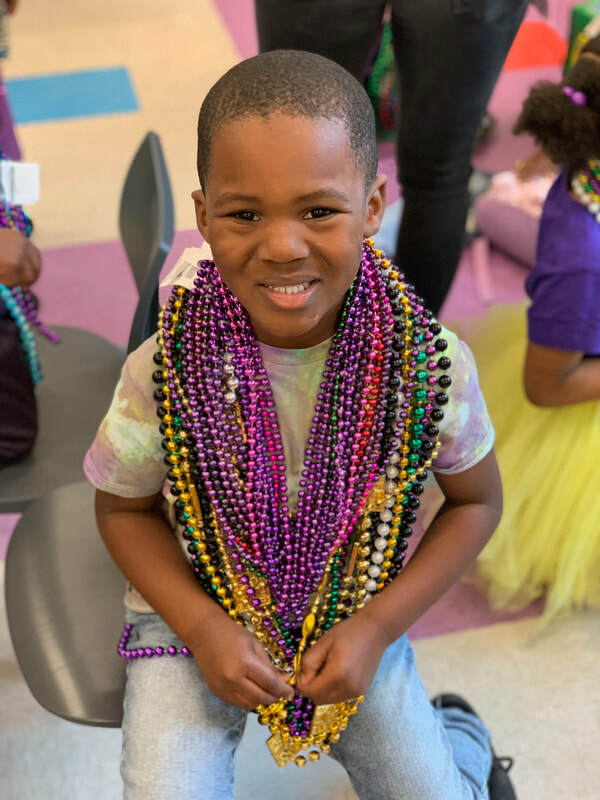 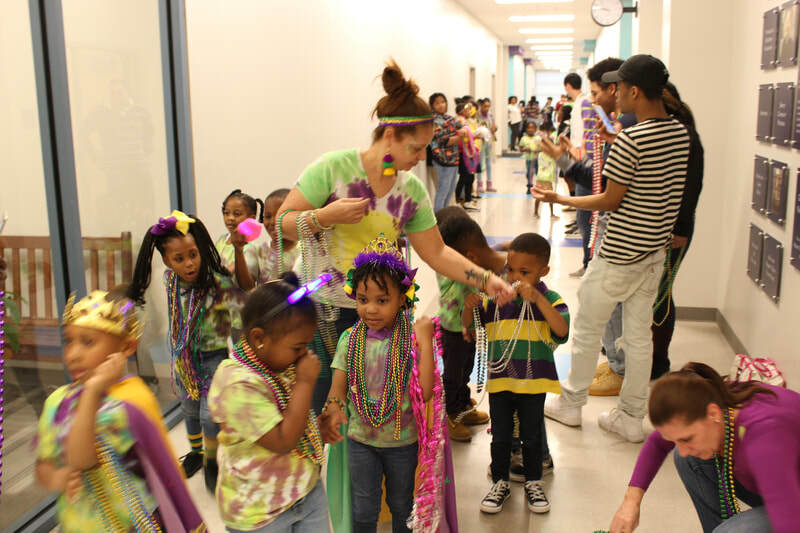 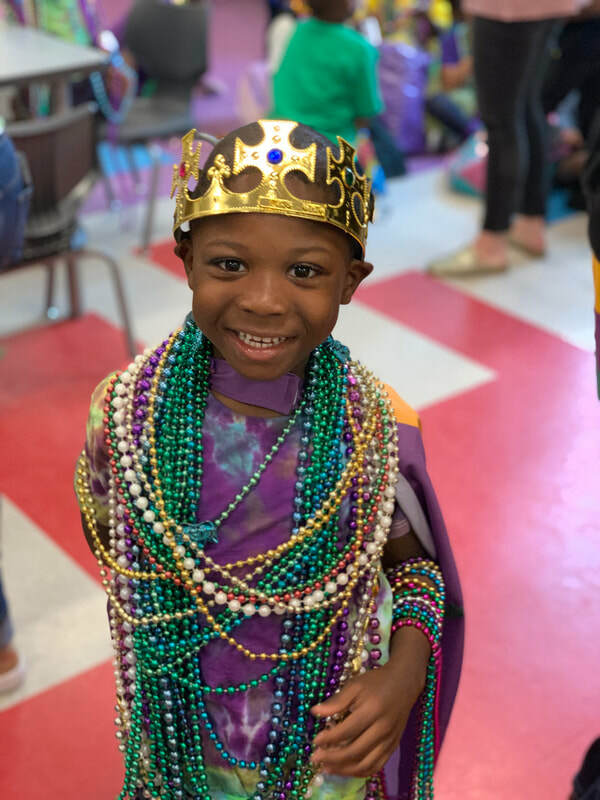 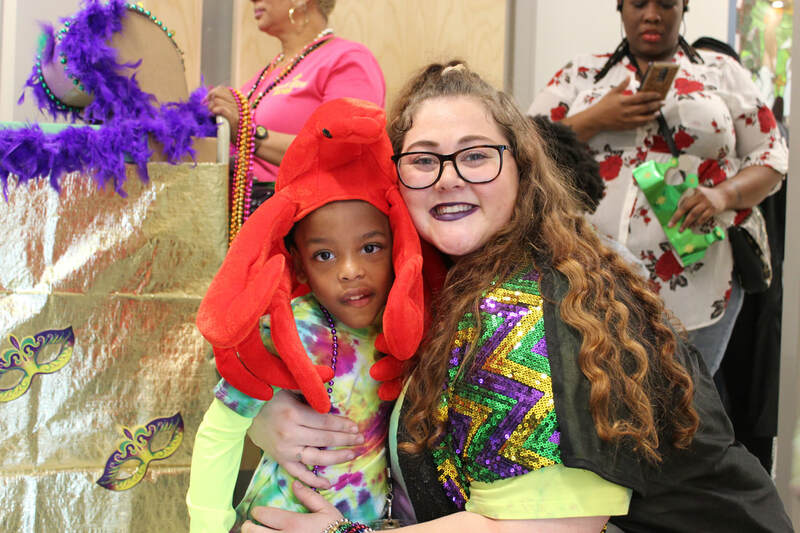 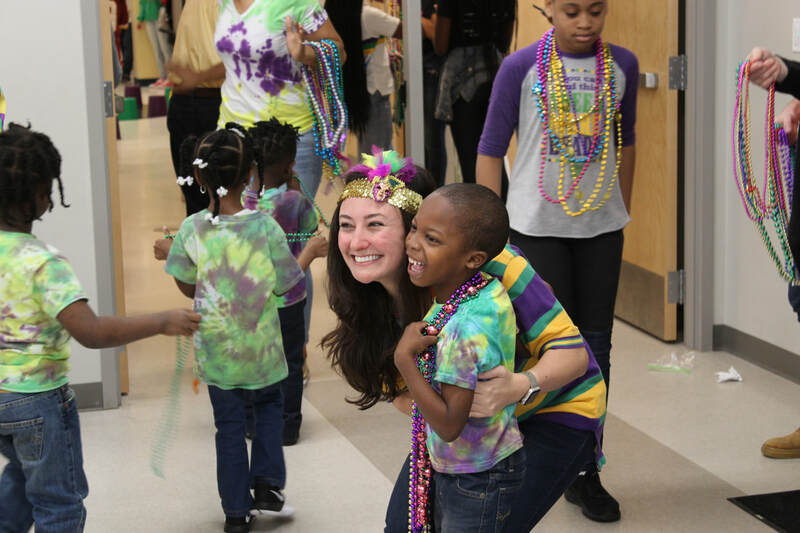 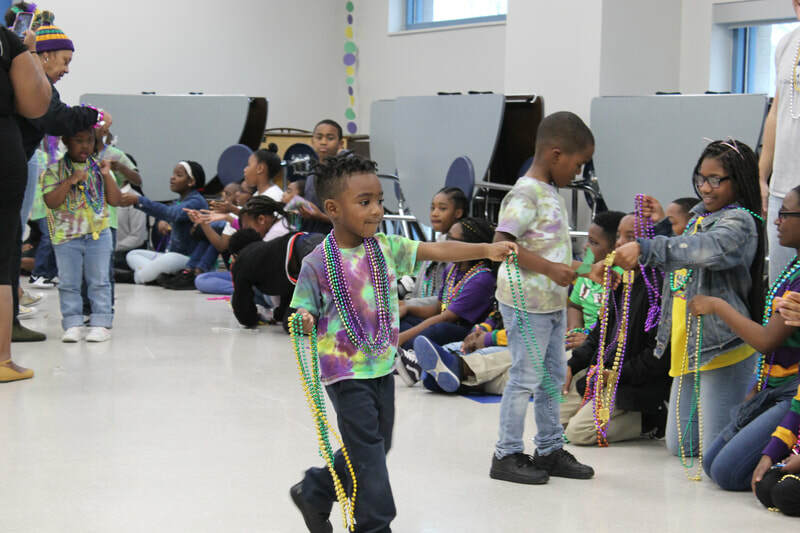 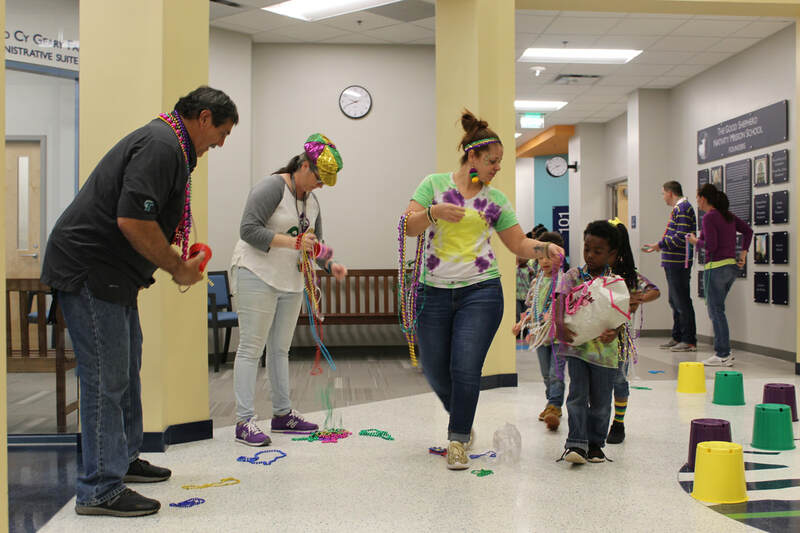 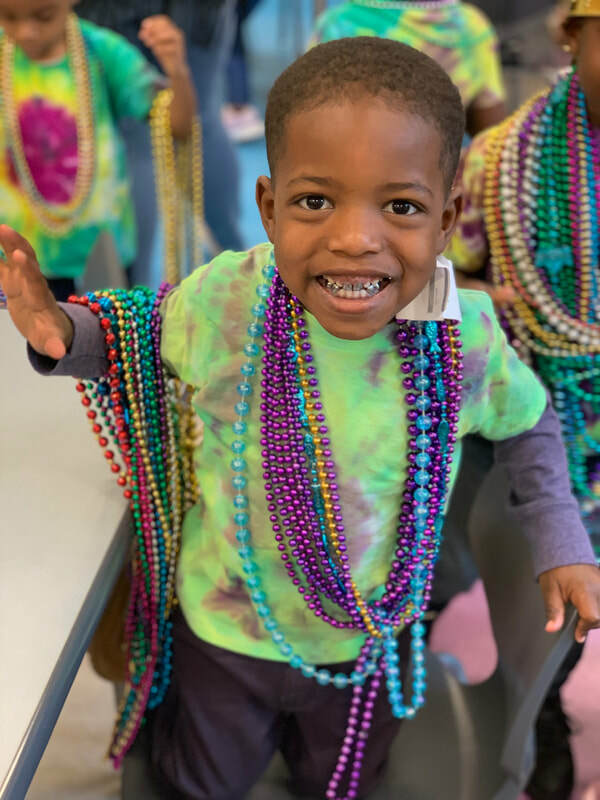 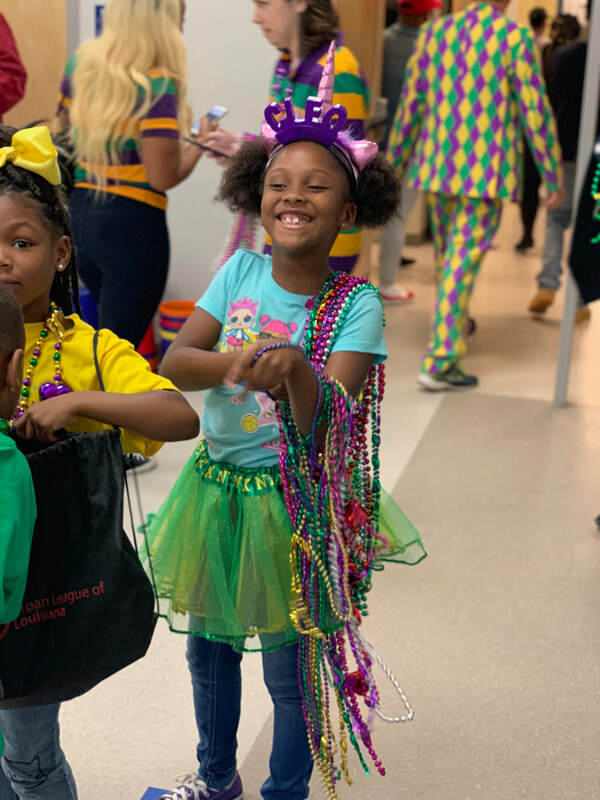 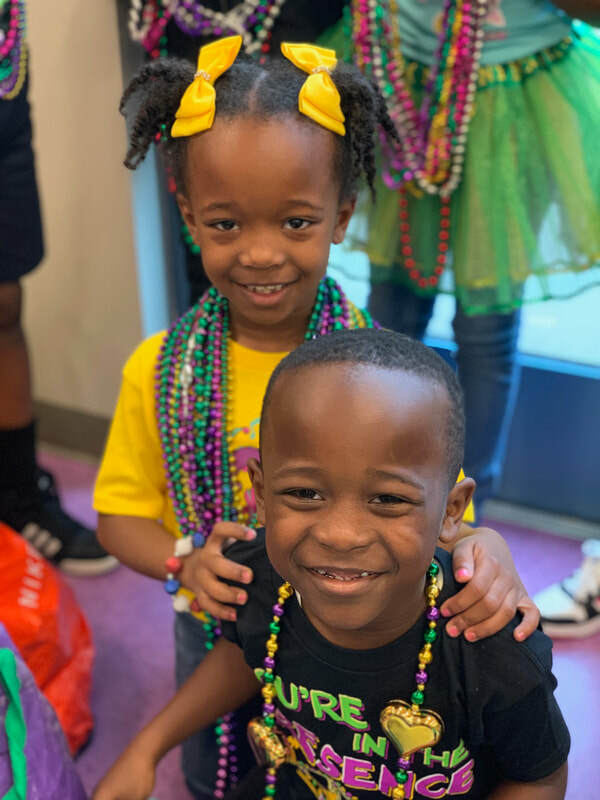 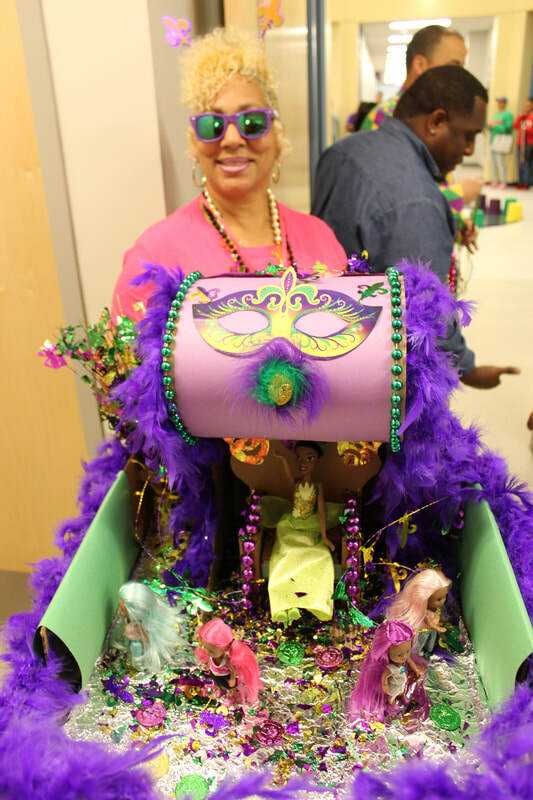 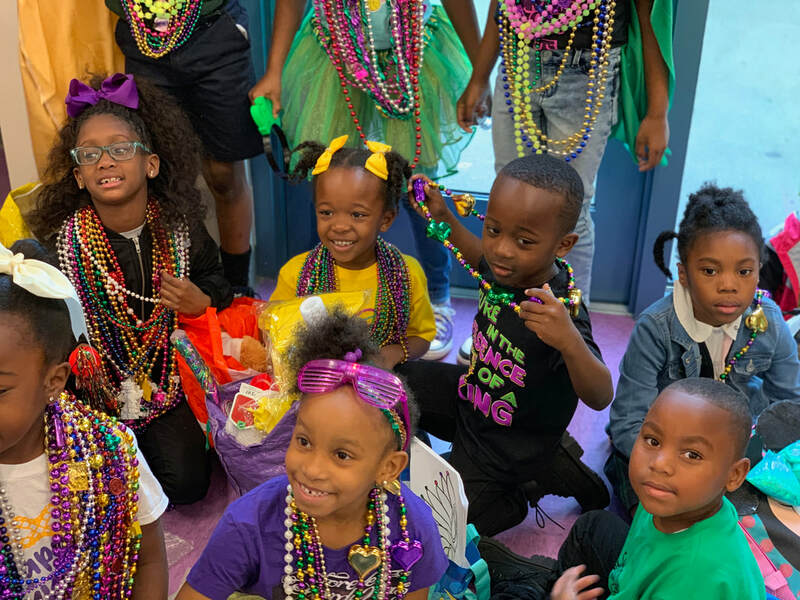 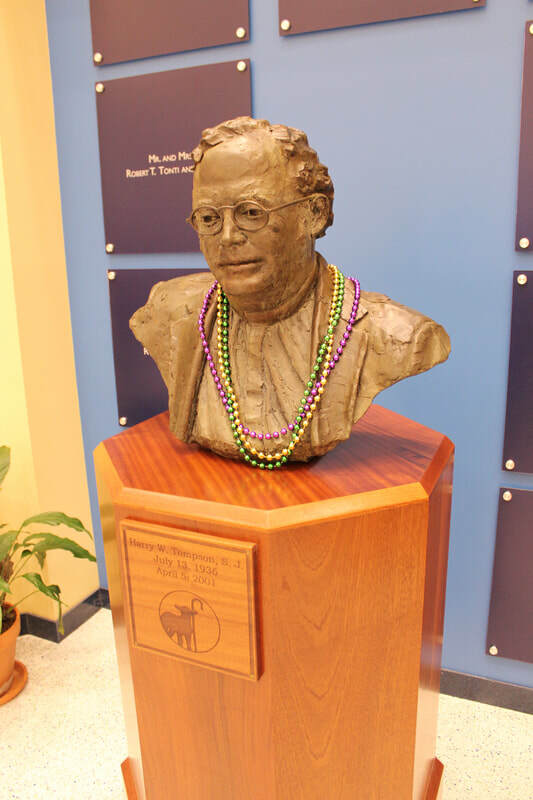 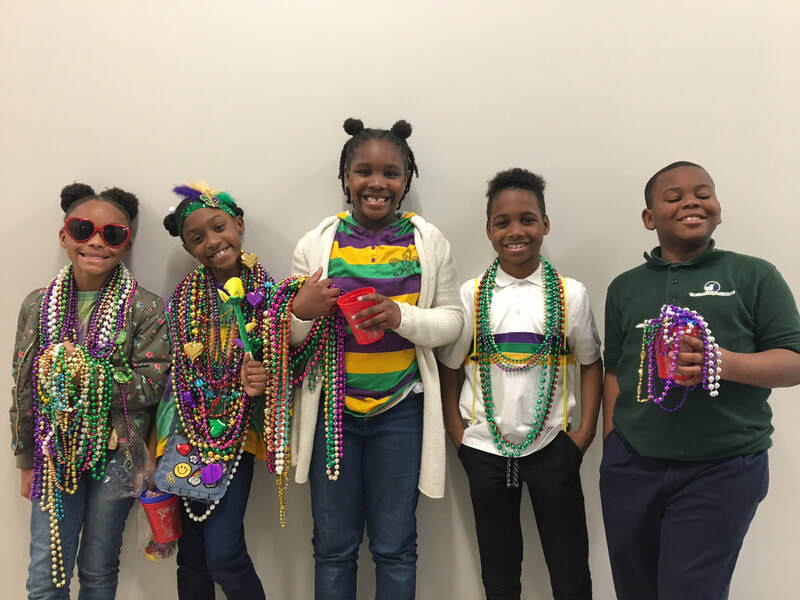 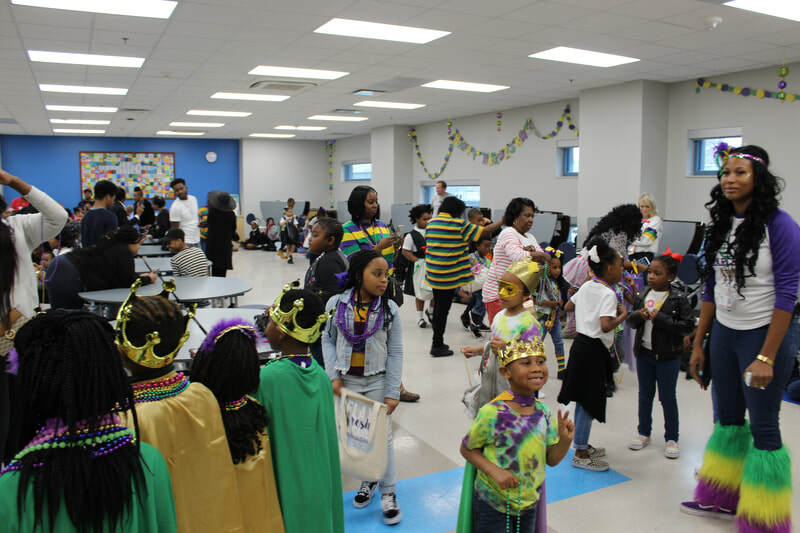 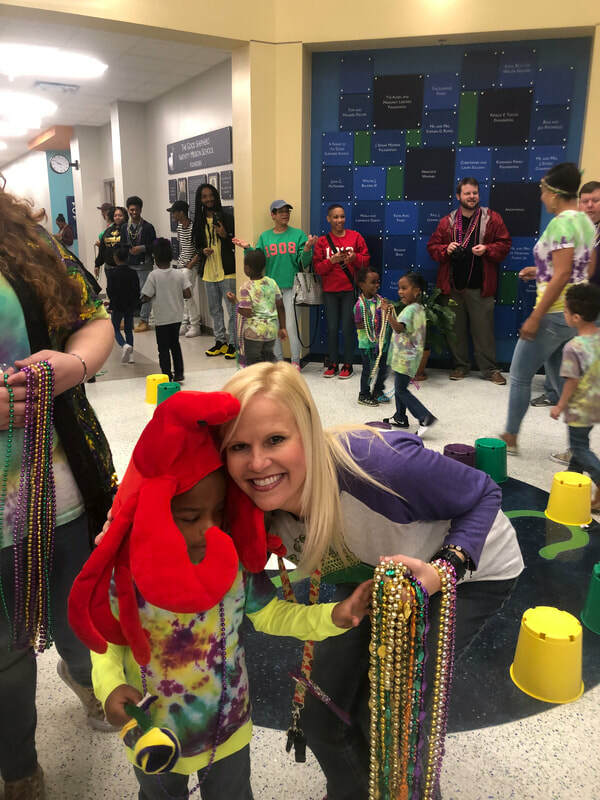 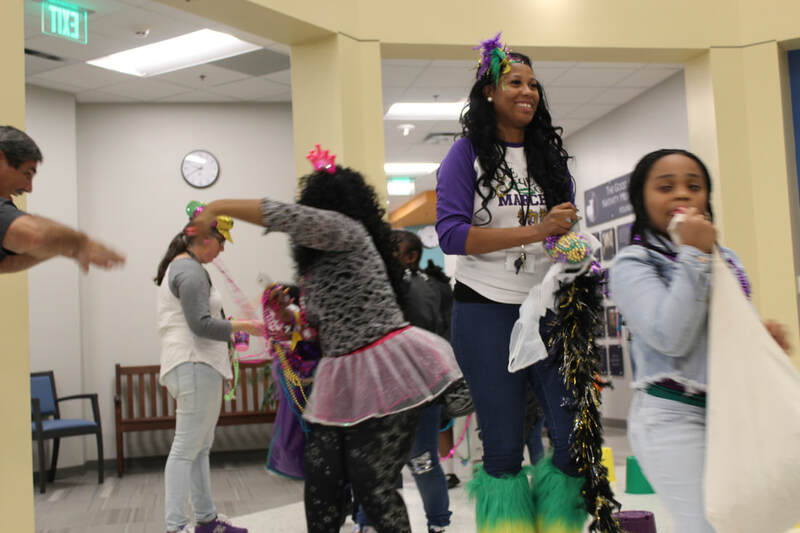 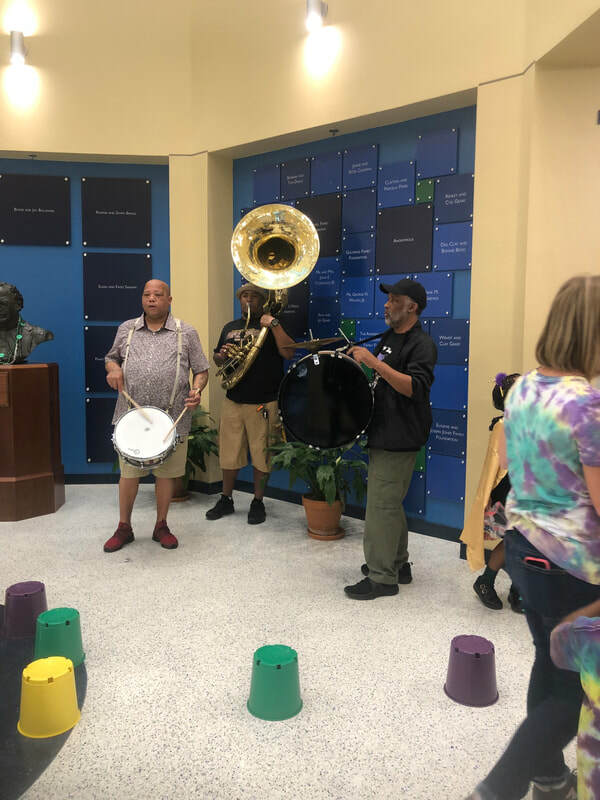 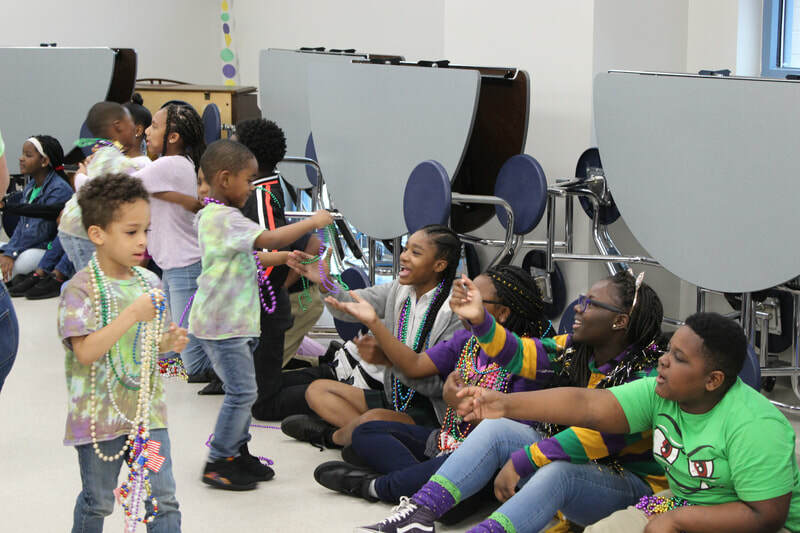 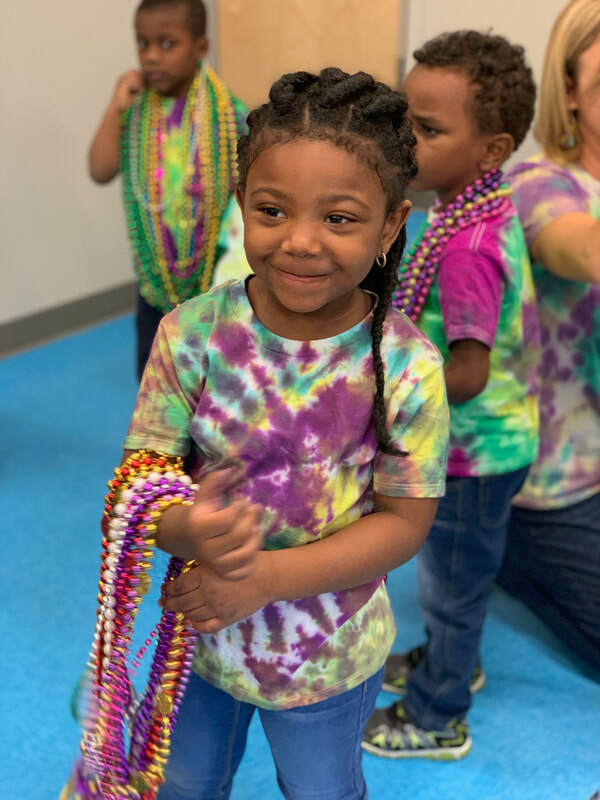 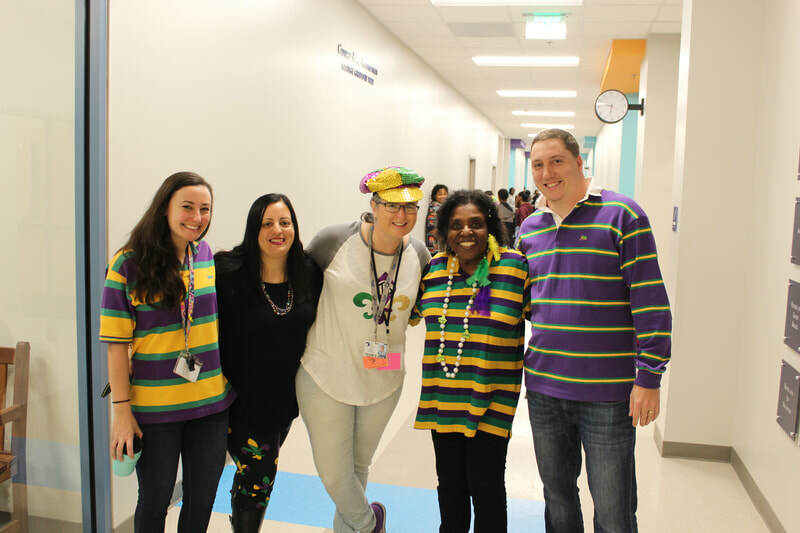 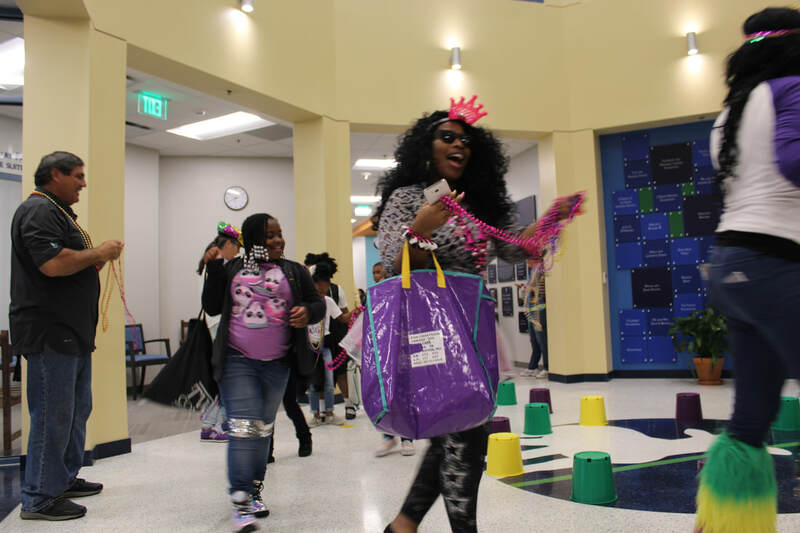 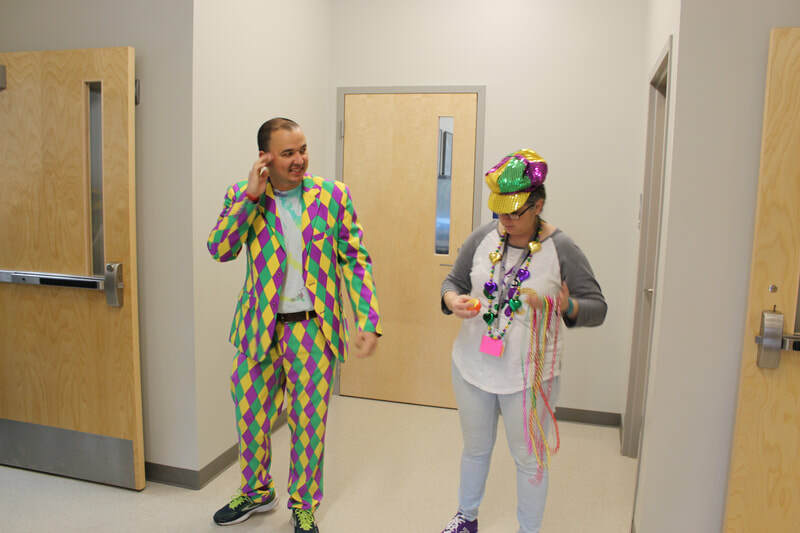 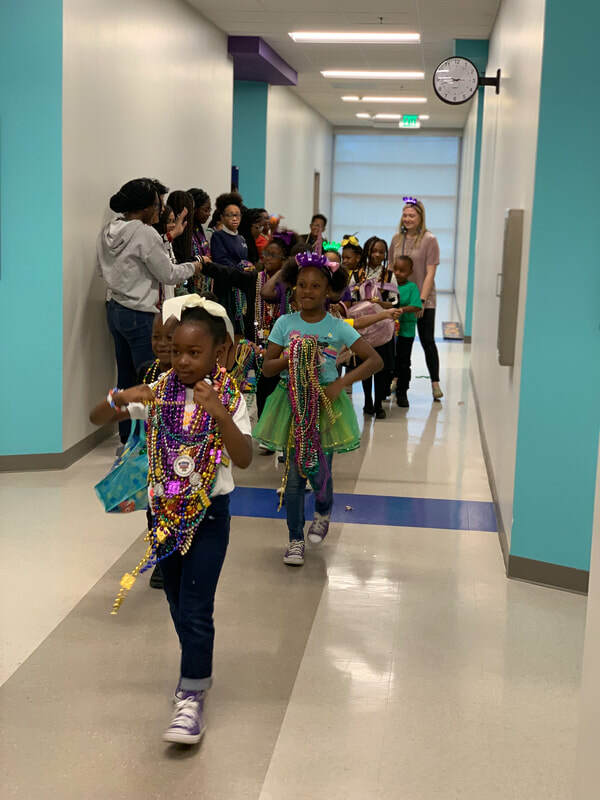 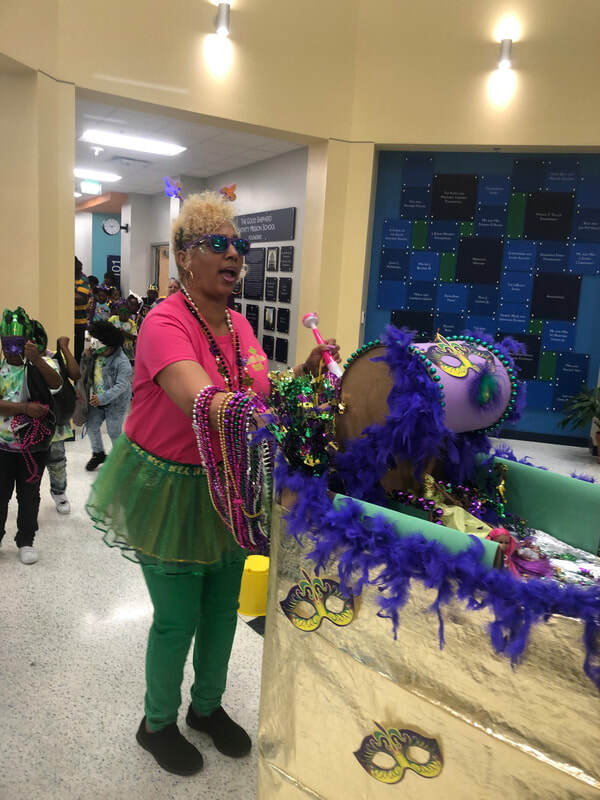 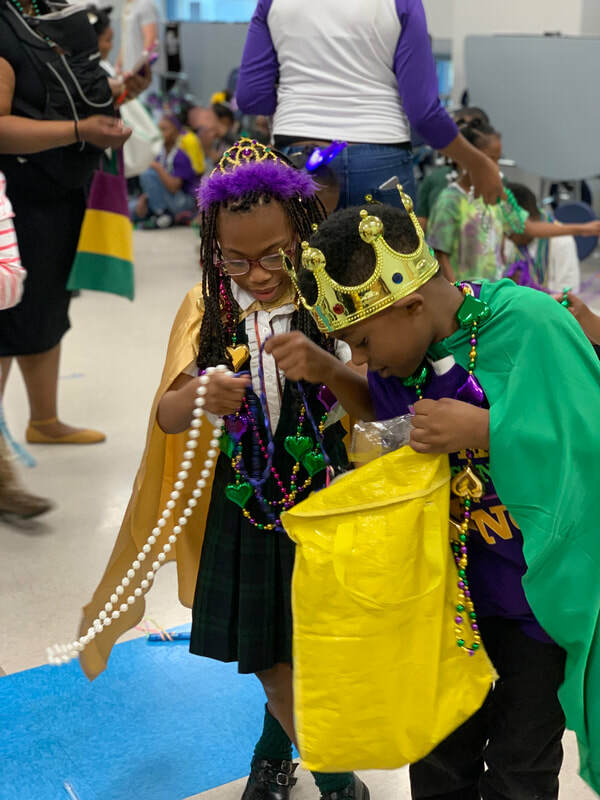 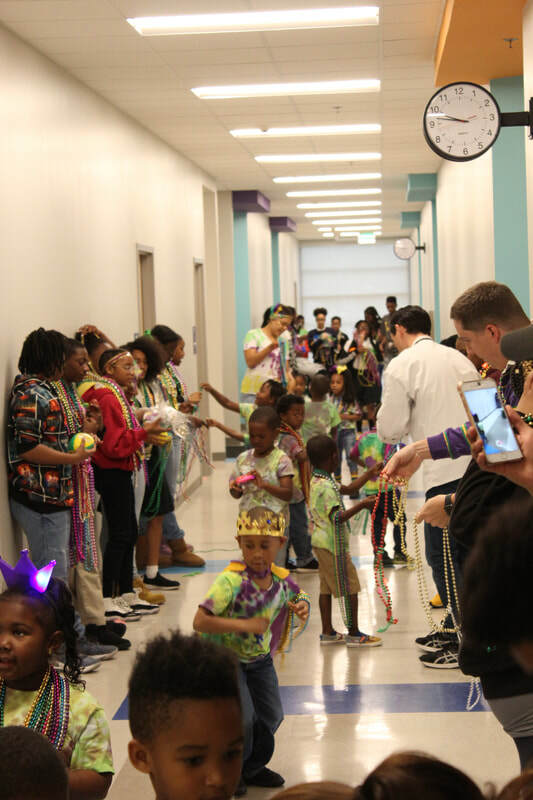 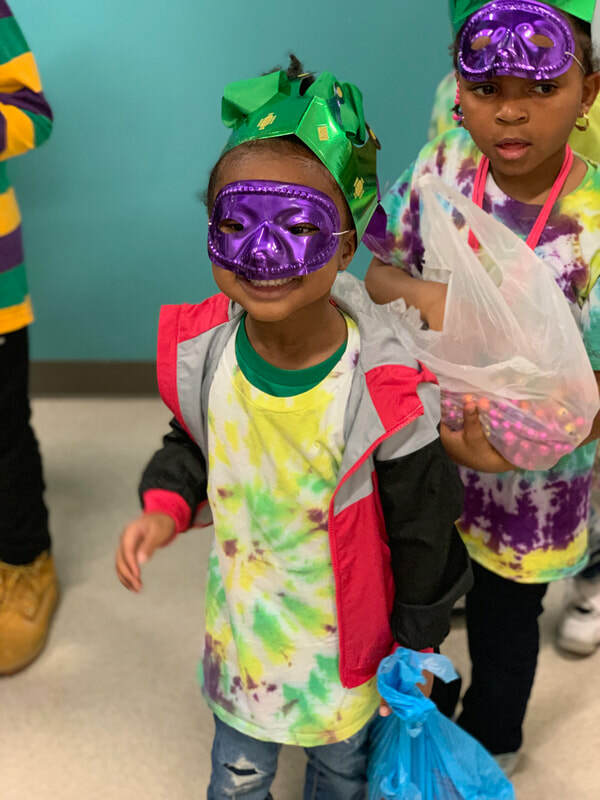 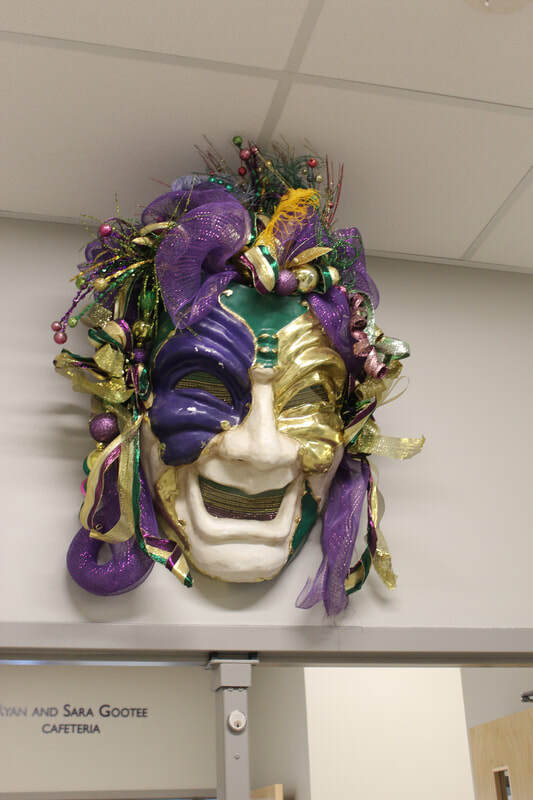 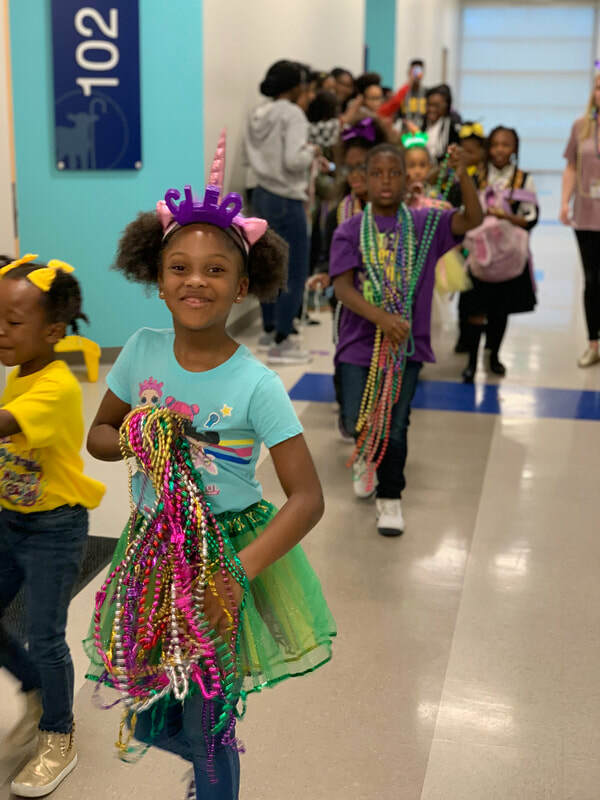 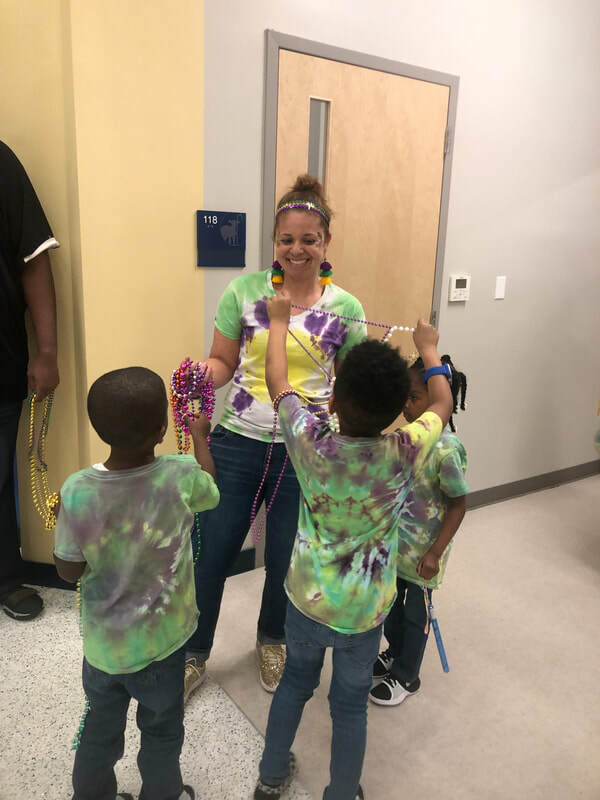 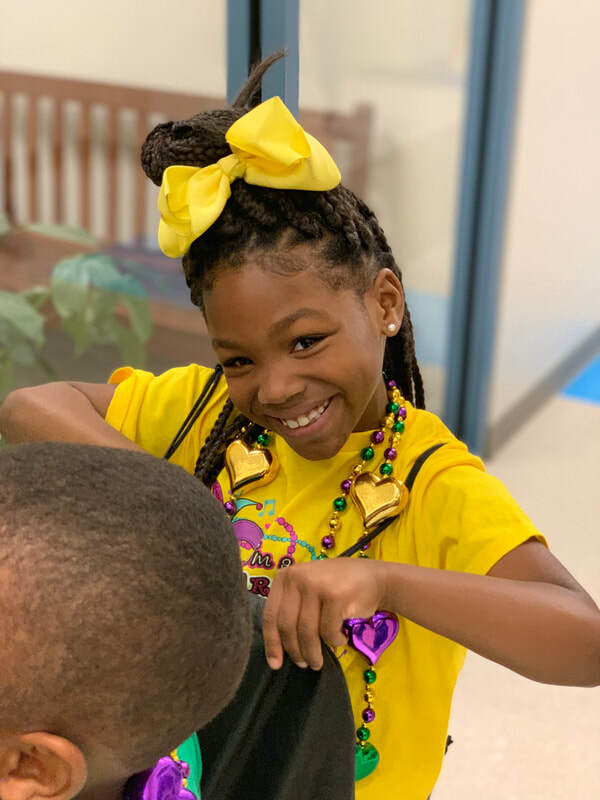 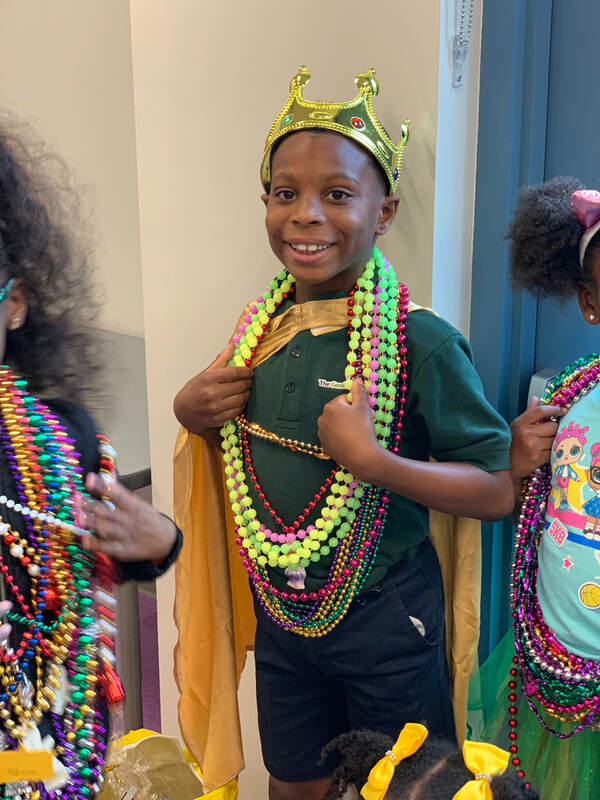 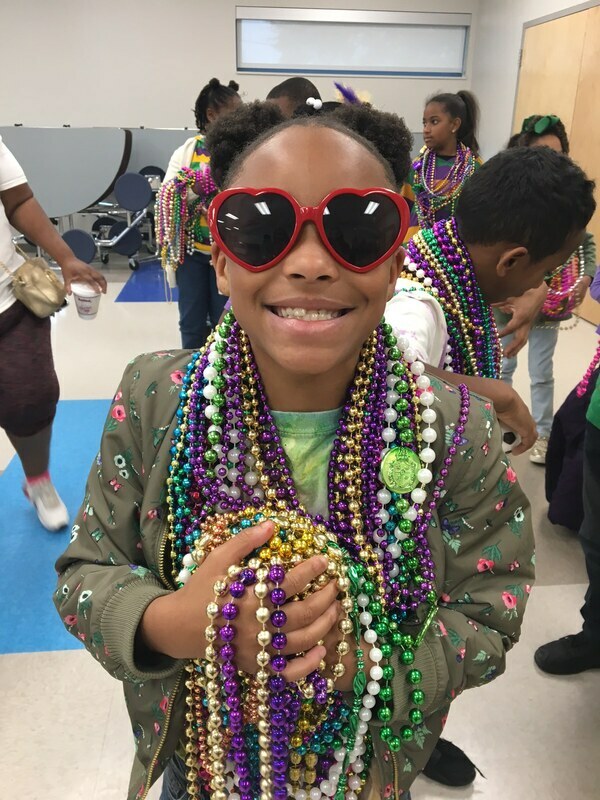 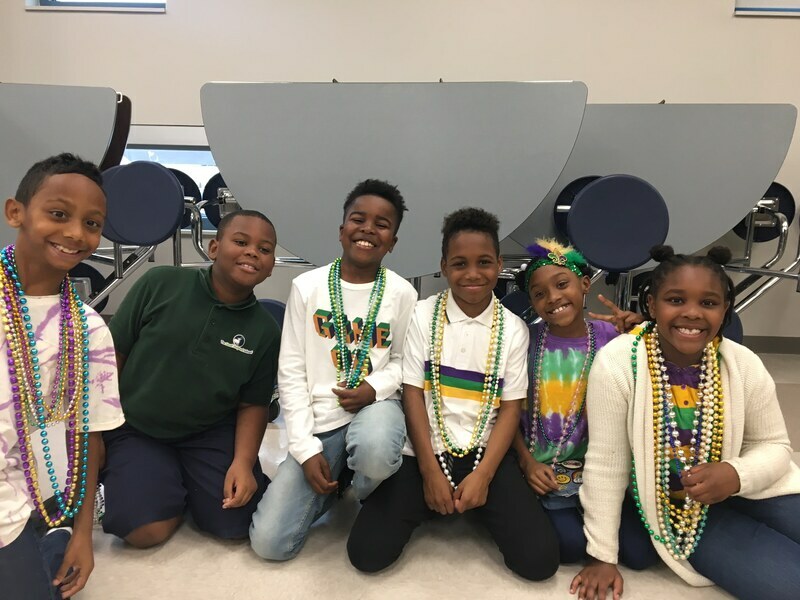 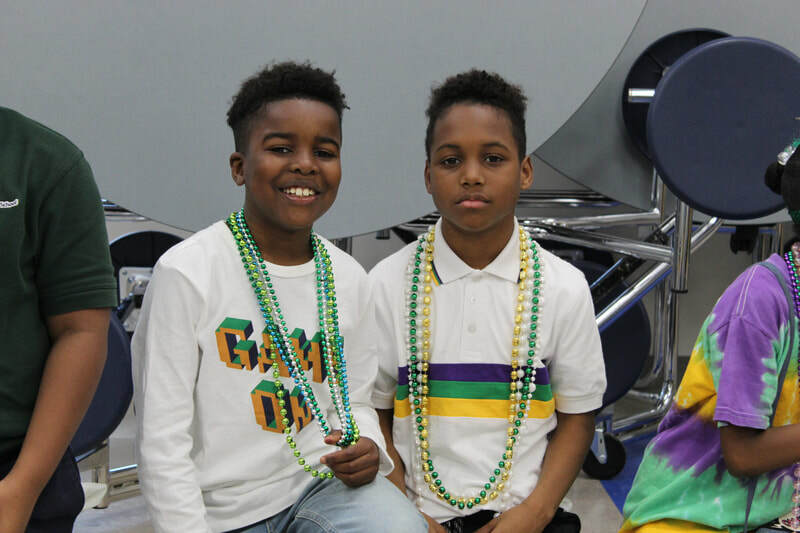 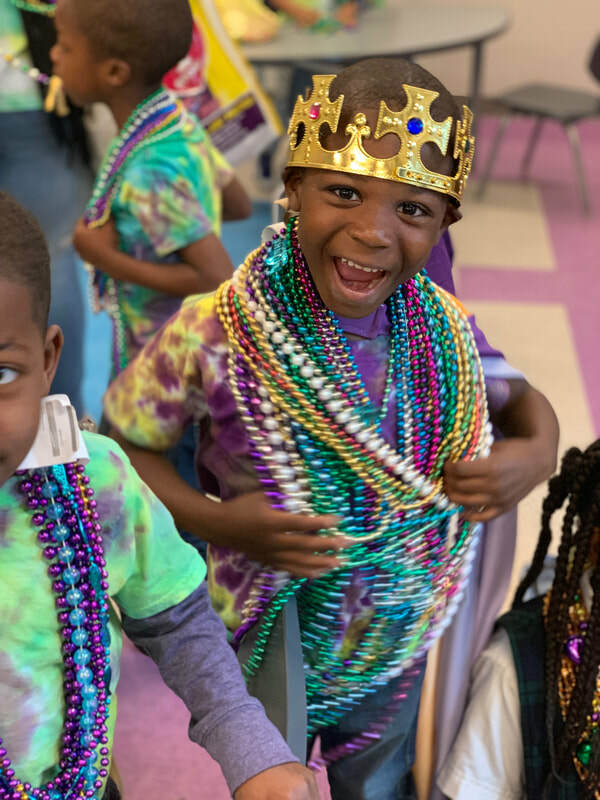 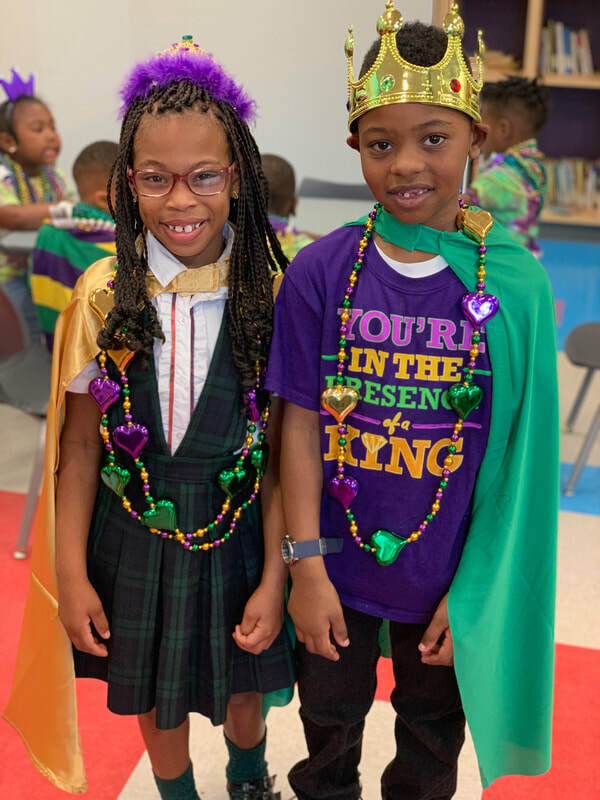 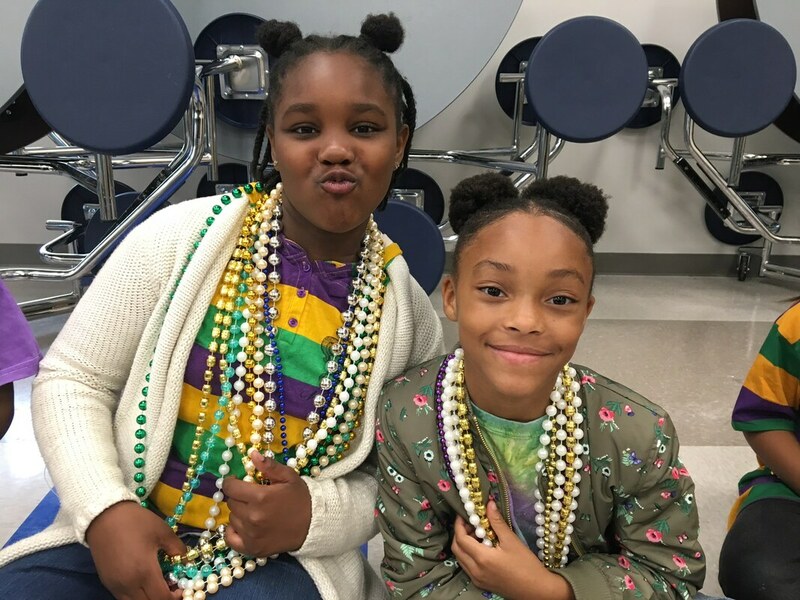 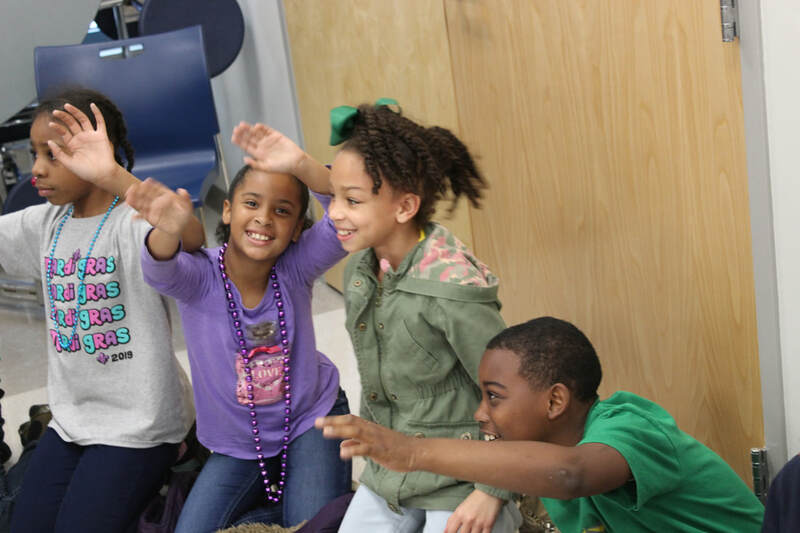 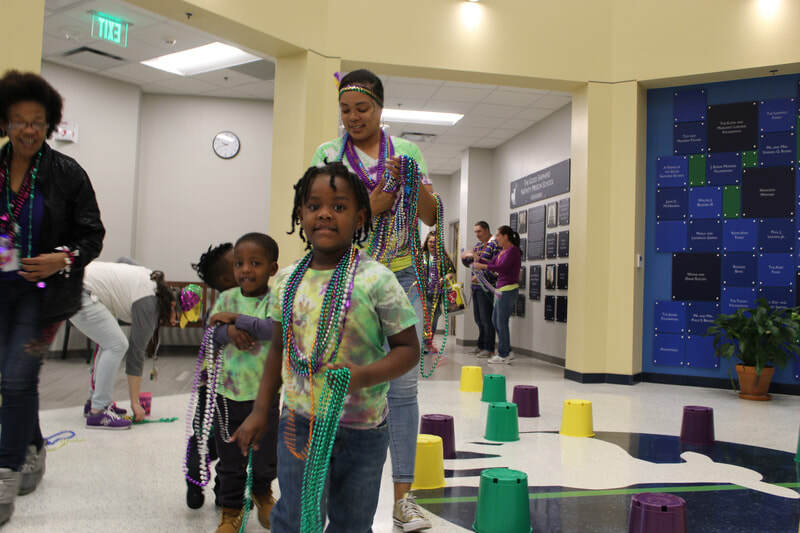 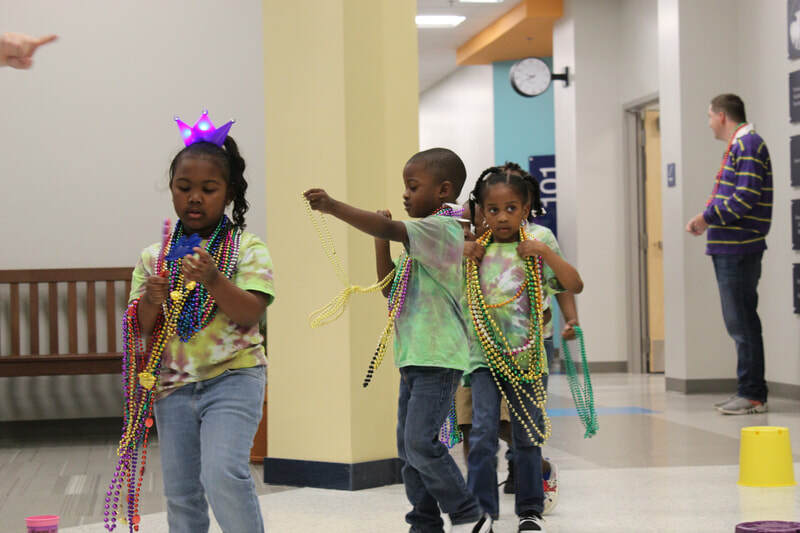 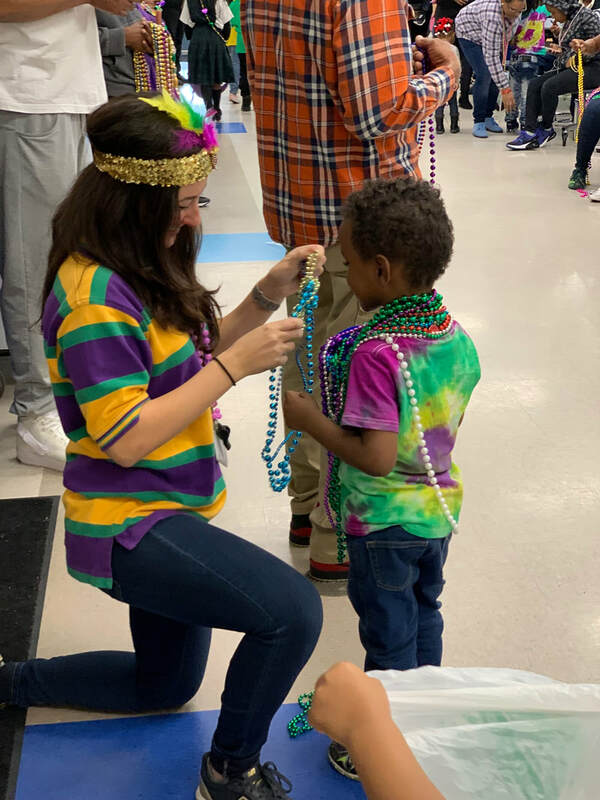 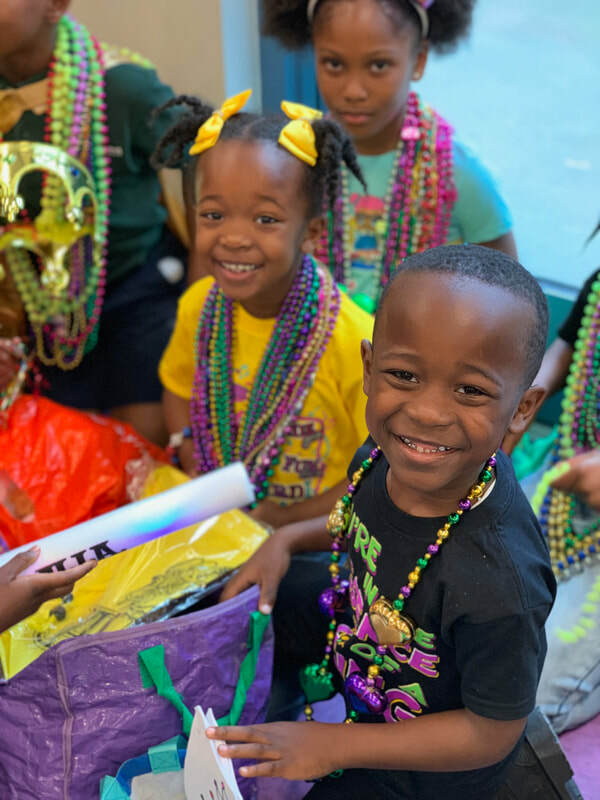 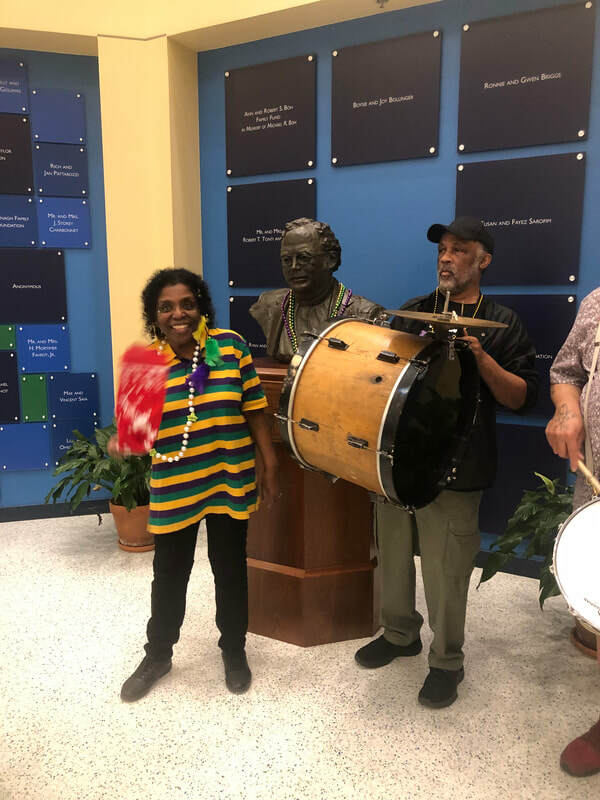 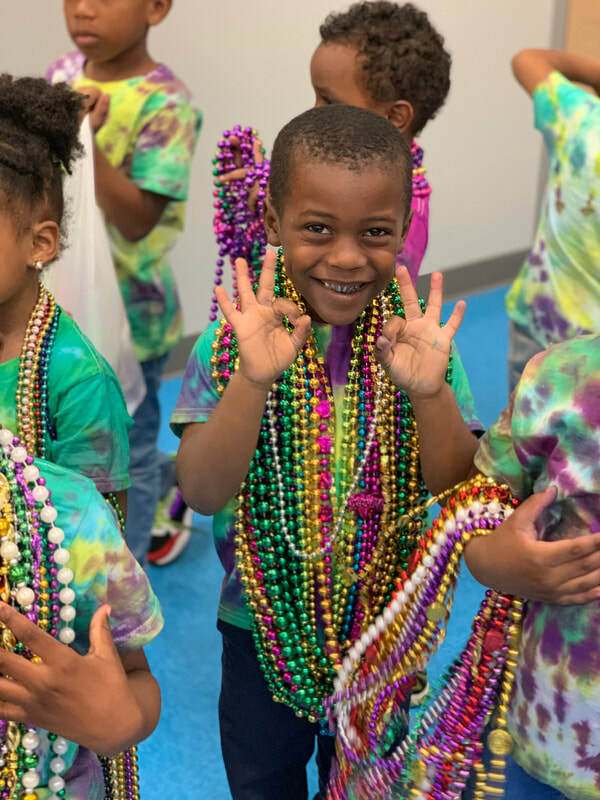 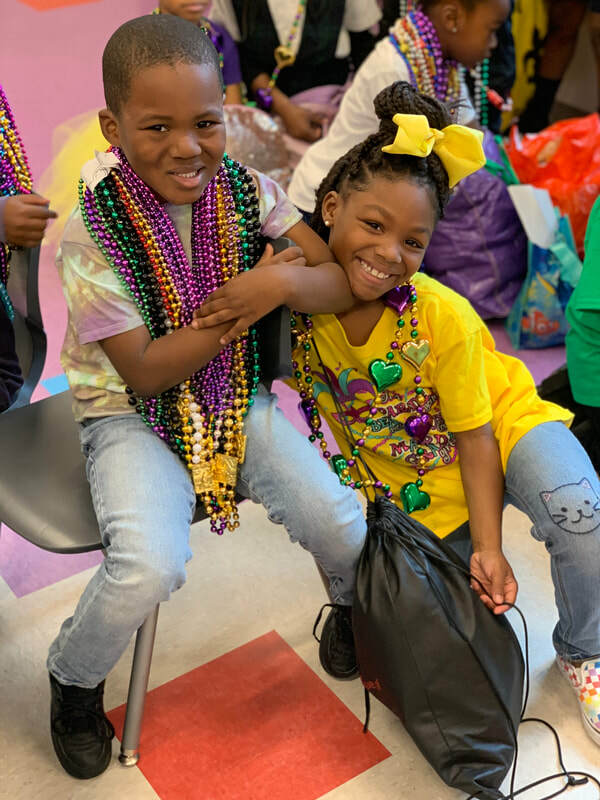 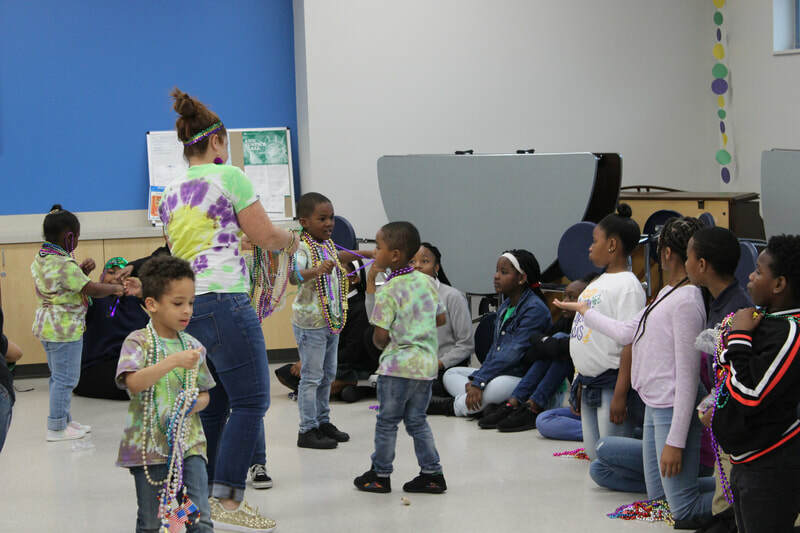 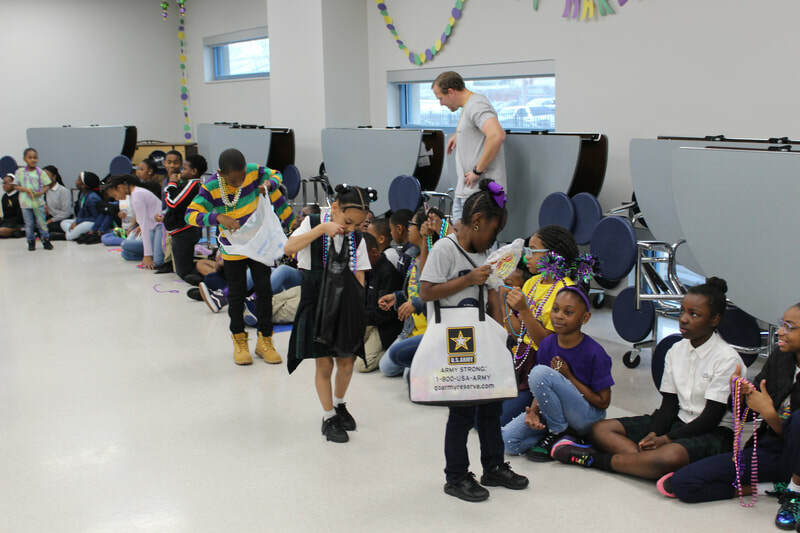 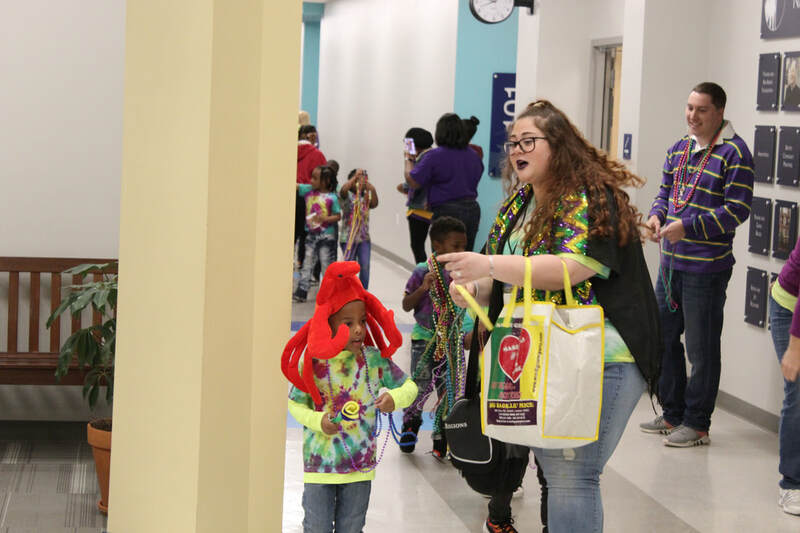 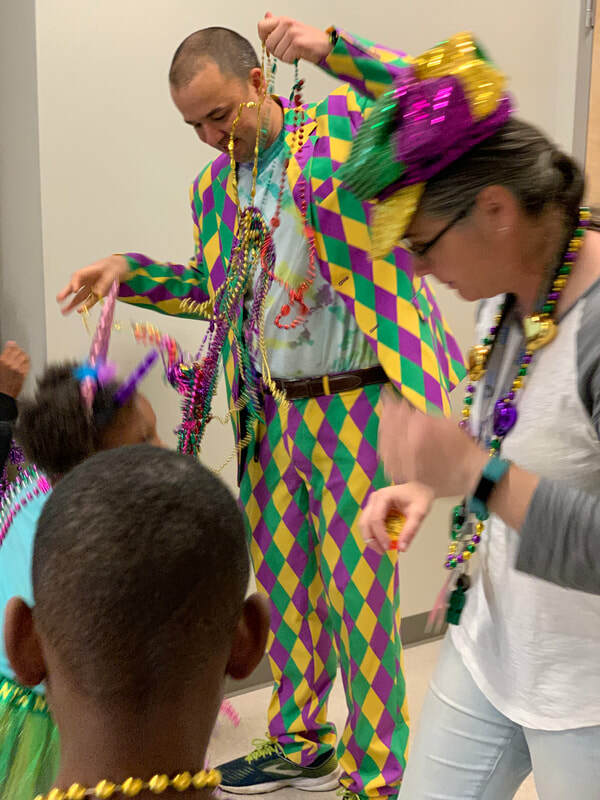 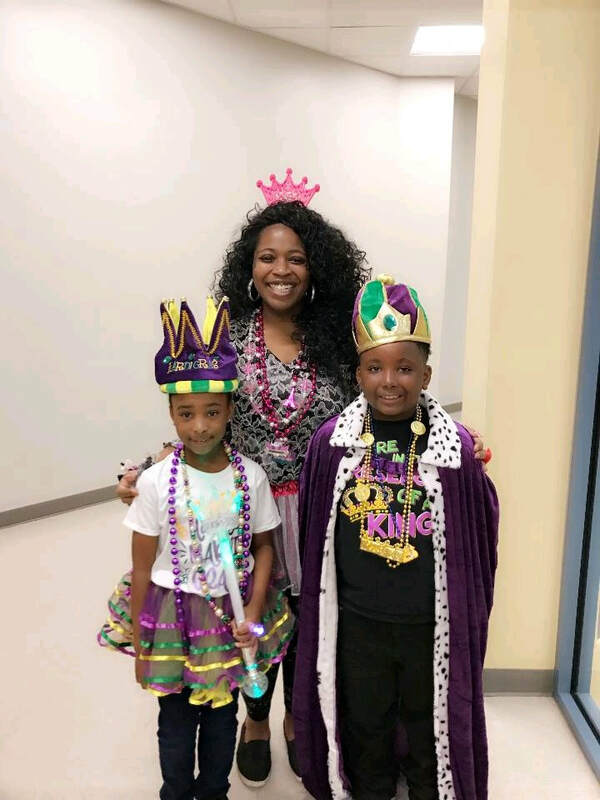 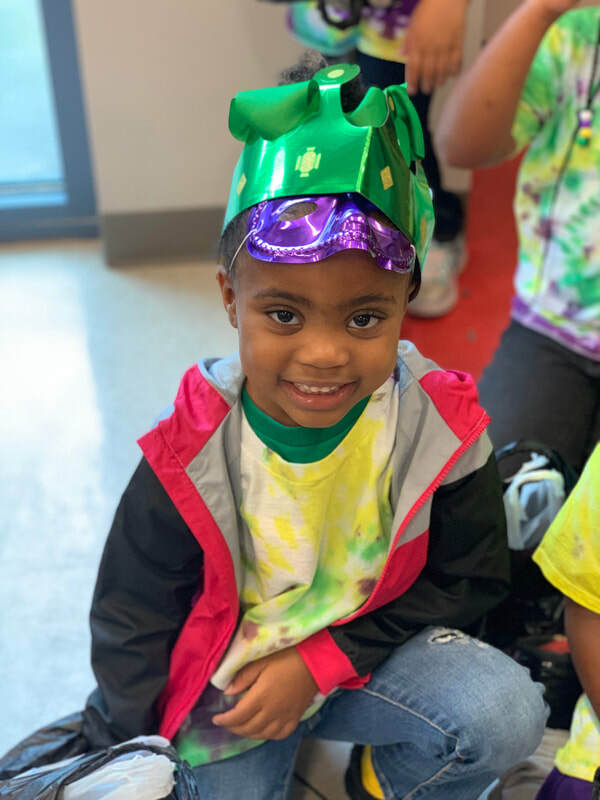 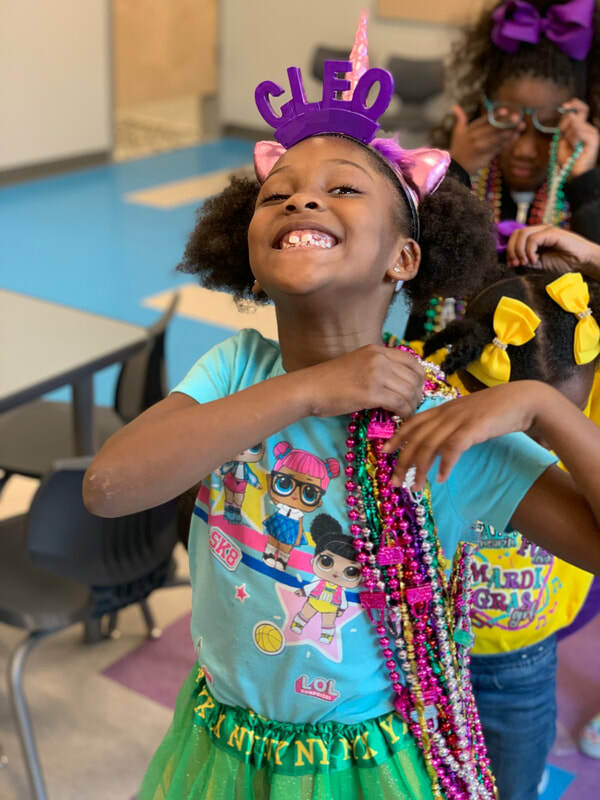 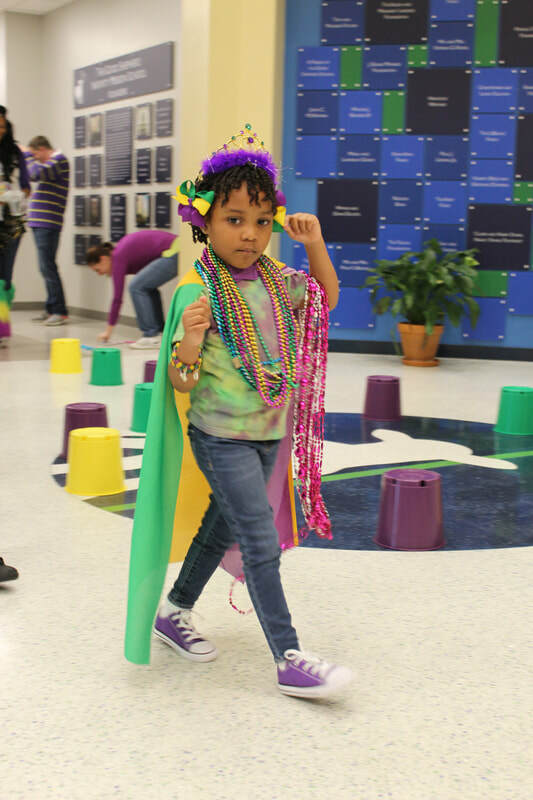 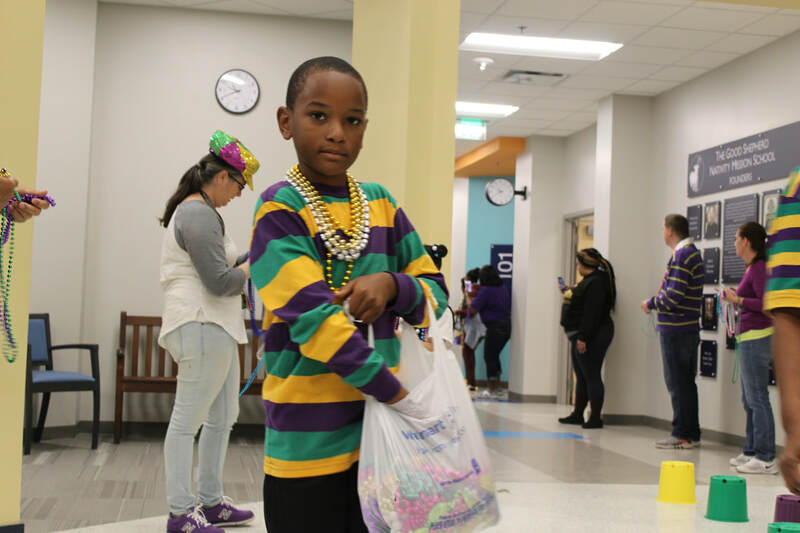 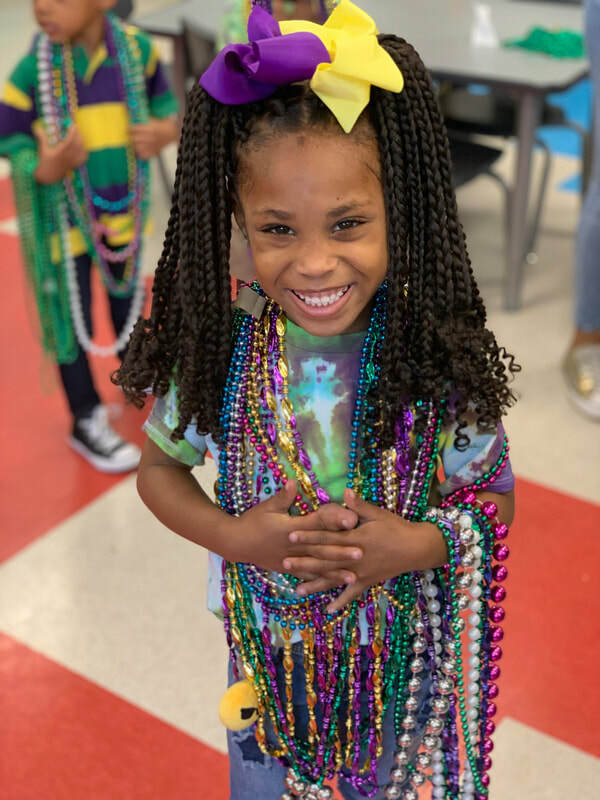 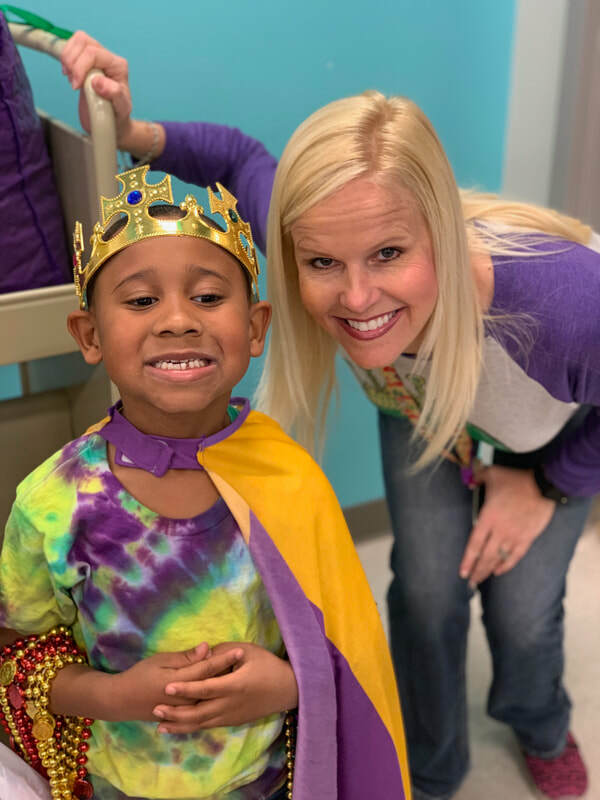 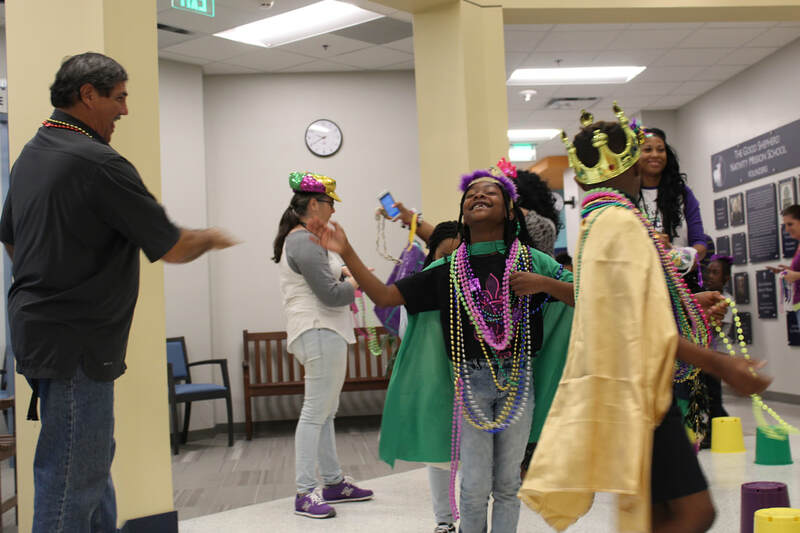 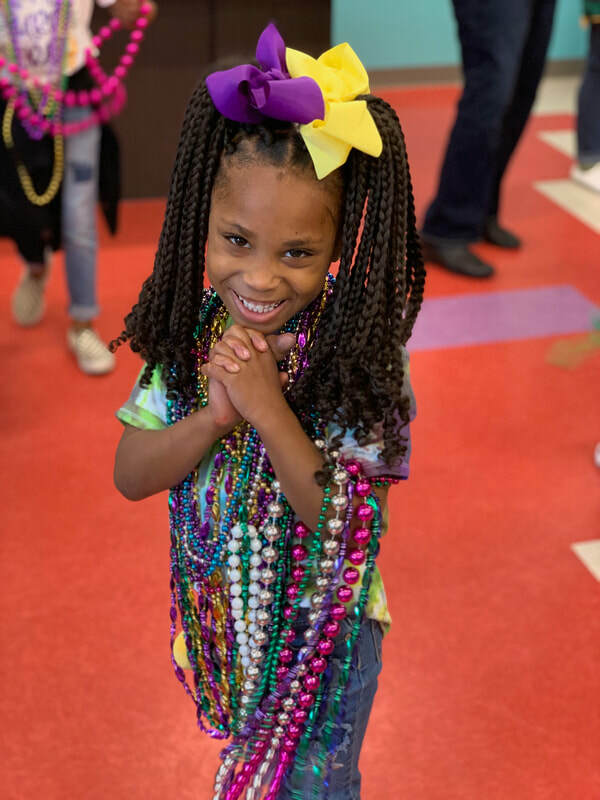 PK4 - 2nd grade students paraded through the first floor and through the cafeteria throwing beads and Mardi Gras treats as parents and the other GSS cheered for the goods. 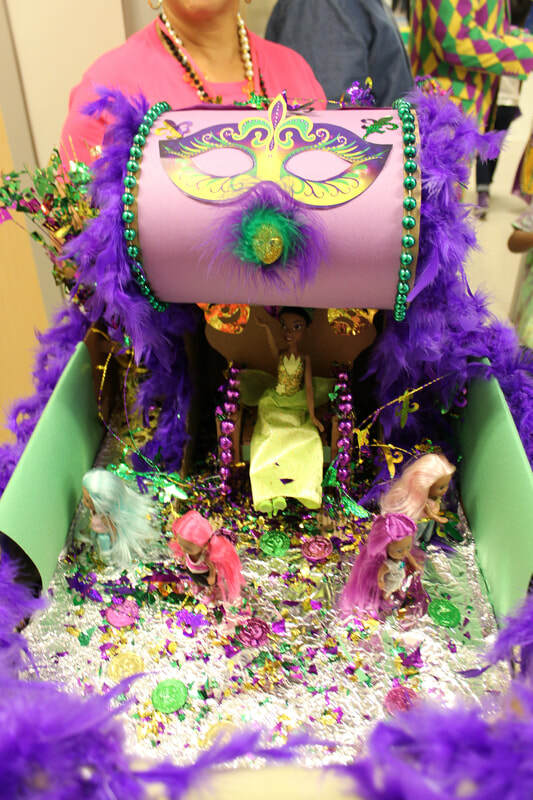 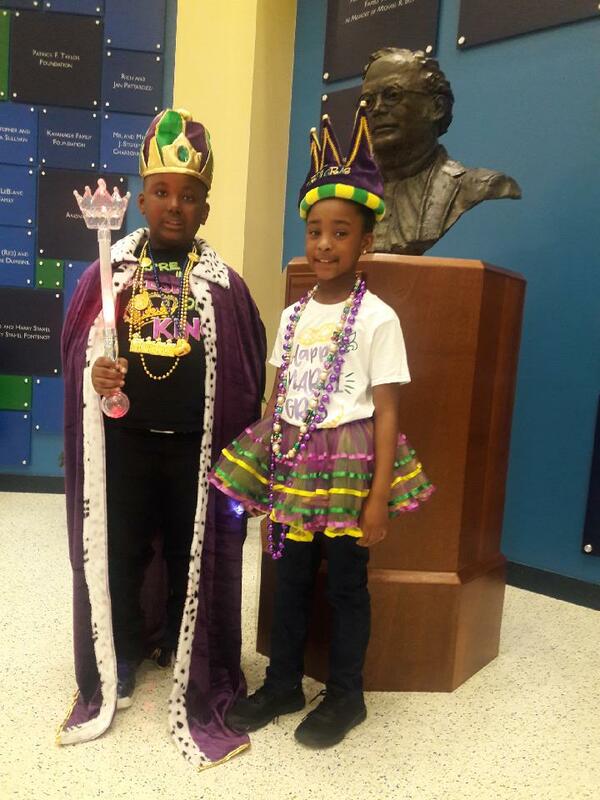 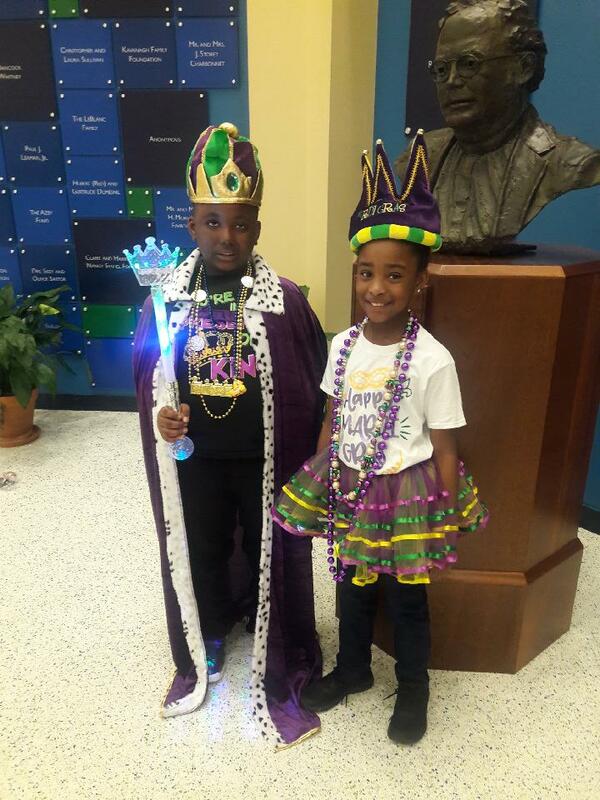 Each grade level had their own king and queen of the parade based on behavior and grades throughout the year. 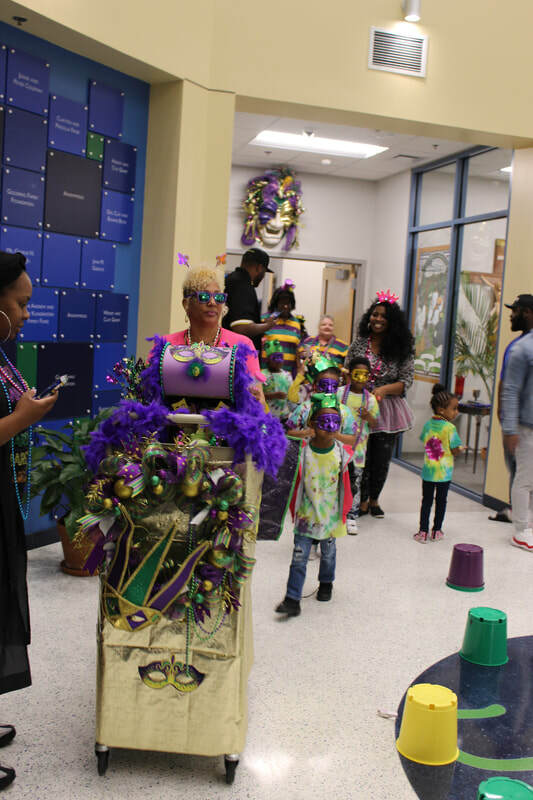 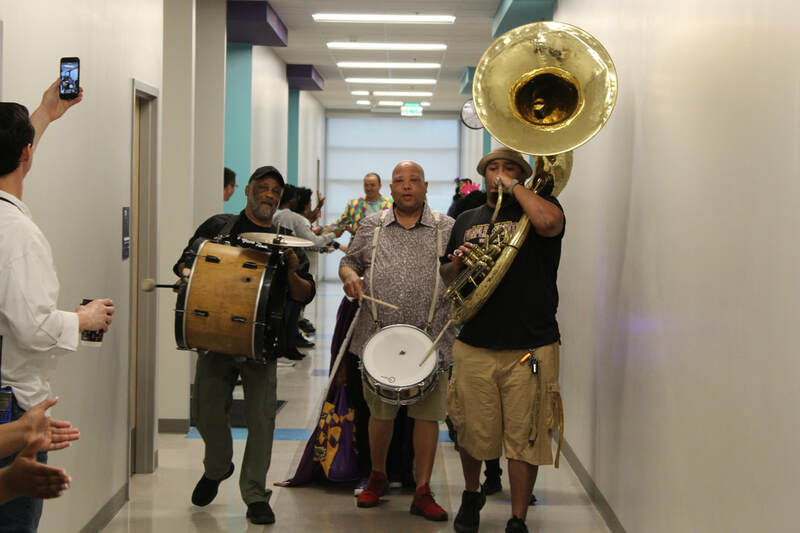 A trio of horns and drums led the parade and set the mood as everyone danced and enjoyed the last day before Mardi Gras break.